This week is the Clay County Fair! We hope you will come out to view the 4-H and Open Class exhibits, 4-H/FFA youth showing their animals, family fun night, 4-H Council Bar-B-Q, cattle sorting, mutton busting, Amanda Winter concert, mud drags, and much more! 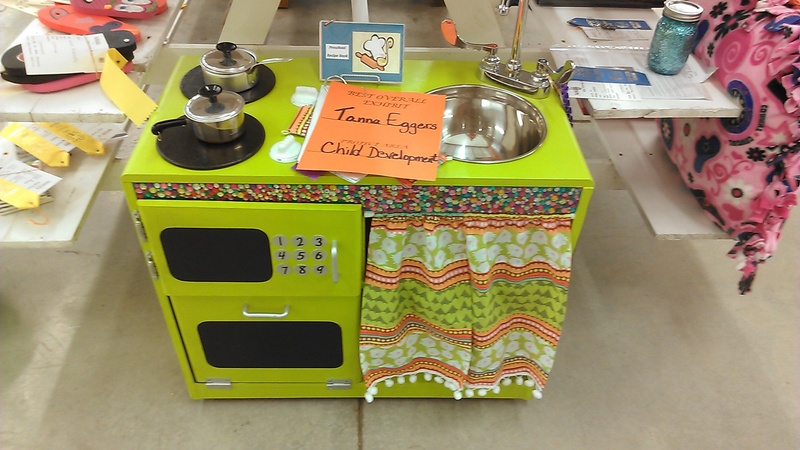 I absolutely love our fair for the focus on youth and families! I also enjoy watching the fairgrounds come alive with excitement from youth and families as they bring their projects and show them. It’s such a blessing to work with wonderful people who desire what’s best for the youth! A full schedule of events can be found at http://clay.unl.edu. See you at the fair! (photo is of those wearing “orange out” t-shirts the last day of the fair in 2014-Photo courtesy of Tory Duncan, Clay County News). In the Clay County Fair Open Class flyer printed in the Clay County News, you will find the middle page pulls out and is a survey. Nebraska Extension in Clay County and our Clay County Extension Board have launched a survey to determine programming/information needs you deem critical to you and your families. 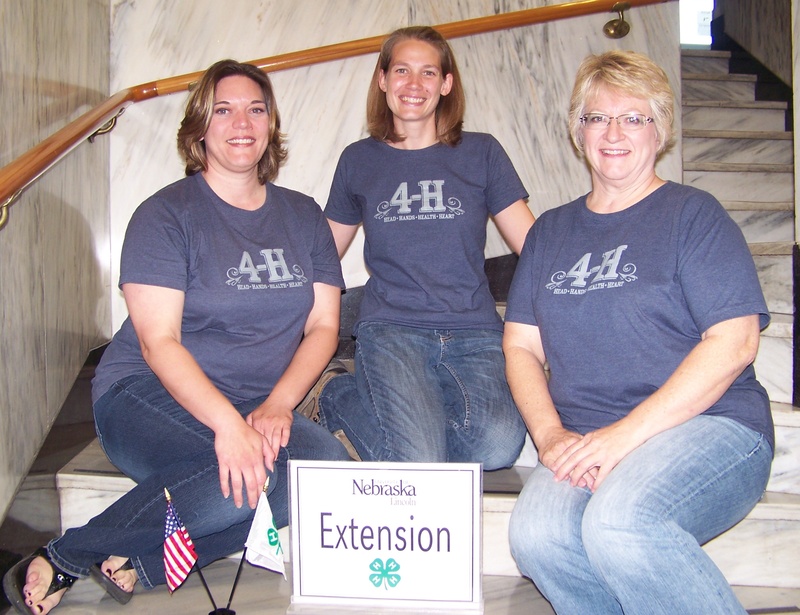 We know that we provide crop, 4-H, and some horticulture programming and information, but there is much more that Nebraska Extension as a whole provides that we haven’t necessarily offered as much as we could in Clay County. The survey is meant for those of you in Clay County, if you’d be willing to take less than 5 minutes to fill it out, we’d greatly appreciate it! You can also fill it out online at: https://www.surveymonkey.com/r/clayext. 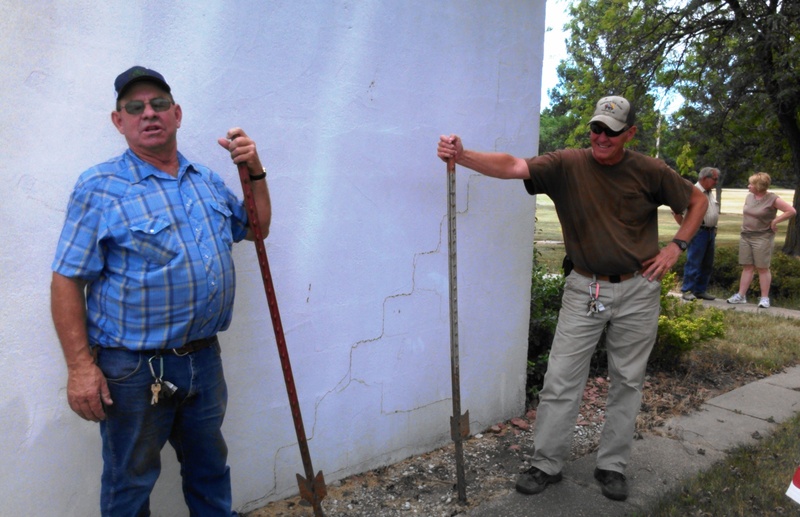 The survey will remain open till the conclusion of the Clay County Fair on July 12 this year. Please pass this information along to Clay County constituents as we’re trying to reach as many people as possible. It really is important that we receive as much feedback as possible. It’s important as the goal is to better serve you-and we can’t do that without your input! Please do take a few minutes and complete this for us as we’ve only had a handful complete it thus far. Thank you and please encourage others to complete it as well! This year marked my 10th Clay County Fair. 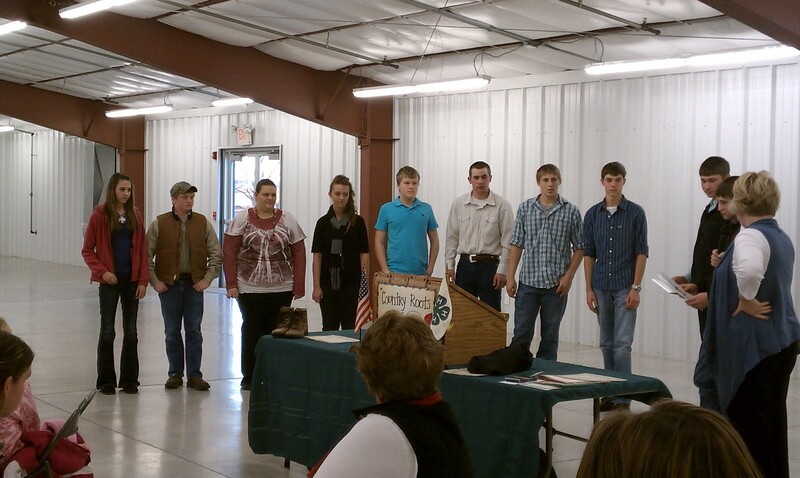 It was bitter-sweet in a way as I have watched this group of youth from their pre-4-H years through graduation this year. It’s neat seeing the young men and women they’ve become, ready to take that next step in life towards college and careers! Rachel and Kristen, our interns, helped us greatly in different ways which was a blessing; it was another smooth fair overall! 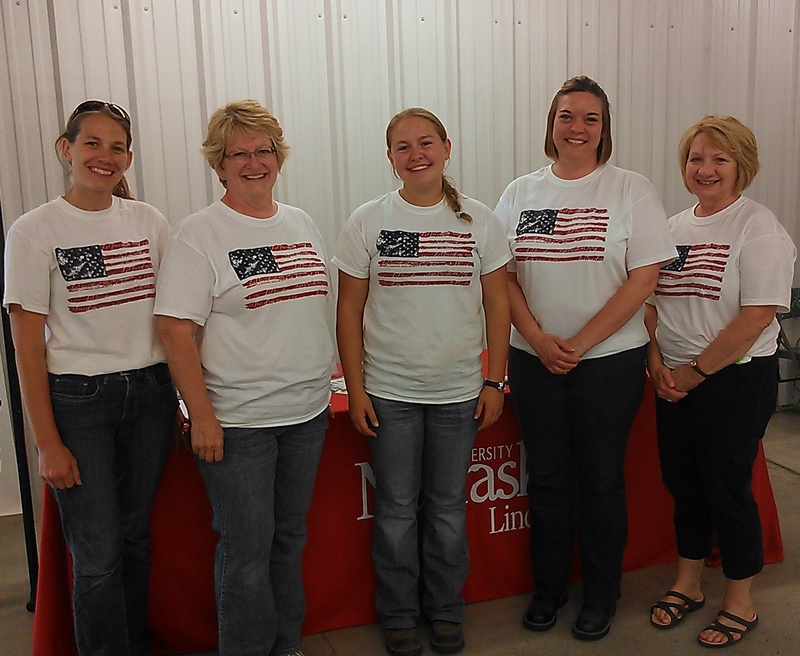 Also bittersweet is the fact that this was Cindy Strasheim’s last Clay County Fair as a UNL Extension Educator as she plans to retire in December. We will miss her and if you see her around, please thank her for her 29 years of dedication to the Clay County Fair and serving our constituents here! I realize I say this every year, but we wouldn’t have fair if it wasn’t for all of our 4-H and FFA leaders, families, and youth-so thank you all for your hard work and efforts with your projects and the many ways you volunteer at fair! Thank you to our awesome fair board who we greatly enjoy working with and who kee p our fairgrounds looking great! Thank you to Deanna, Holli, and Cindy for the long hours of preparation and also during fair in ensuring everything ran smoothly! Thank you to our 4-H Council and all our Superintendents for working so hard in various capacities during fair and throughout the year! Thank you to Tory, Kris, Teri, Karla, and Megan with the Clay County News for sticking out all the shows in the heat to cover the fair for us; we truly appreciate your support! Thank you to Lonnie Stripe for auctioneering, all our auction buyers, plaque and award sponsors, and donors for supporting our 4-H and FFA youth! 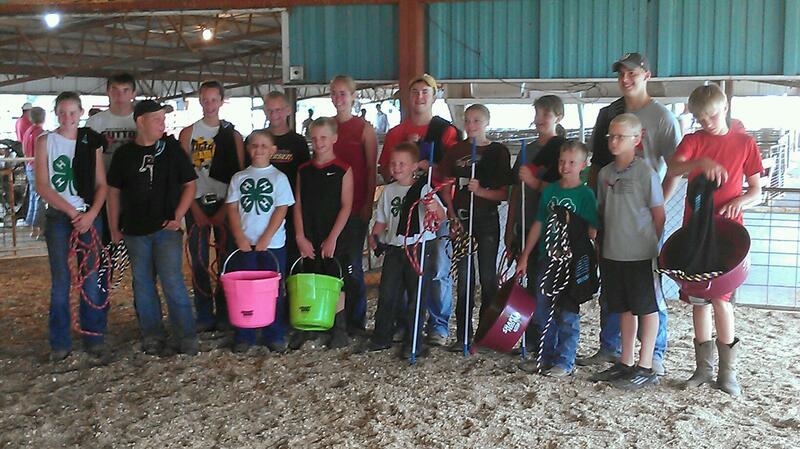 Thank you to everyone who made the 2013 Clay County Fair a success! Fair time is a special time of year. It’s the one time in the year where people from all parts of the county come together for the youth. 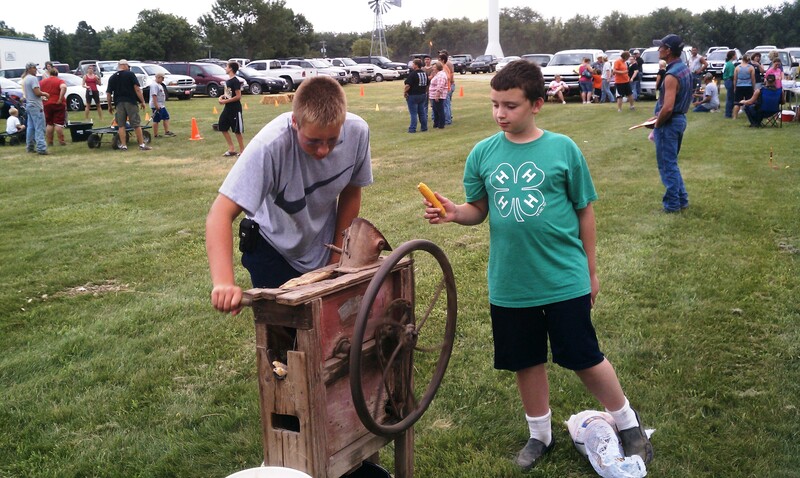 Yes, there’s healthy competition involved, but 4-H and FFA are building life skills in our youth. Families congratulate each other and are excited for a youth’s job well done. It’s the one time in the year where people from all parts of the county come together for the youth. It’s always fun for me to watch the fairgrounds come alive Wednesday night as youth bring in their static exhibits and livestock entries. People are smiling and most youth-particularly the younger exhibitors-are excited. Many people, including me, checked the weather forecast throughout the fair in hopes of rain. 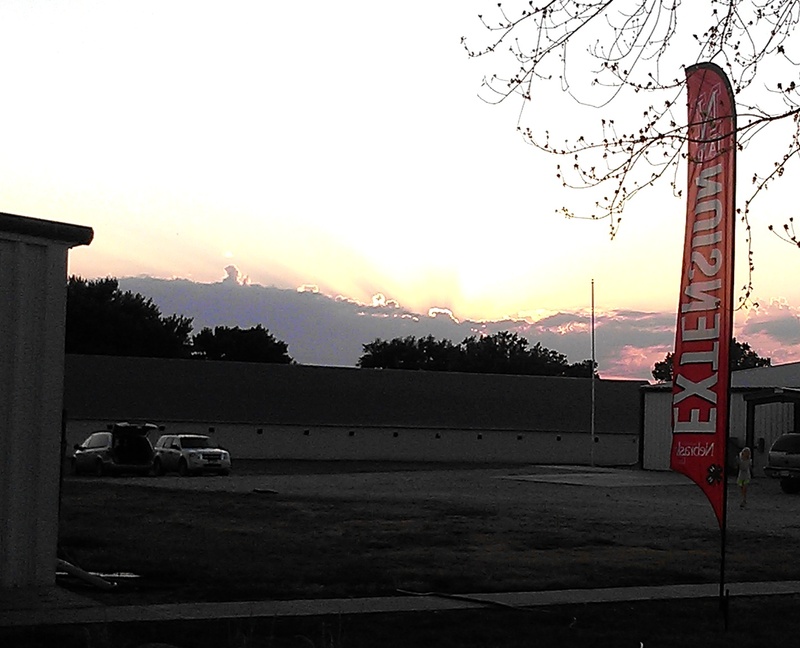 This is the first fair in a long time that it didn’t rain Wednesday night or anytime during the fair. 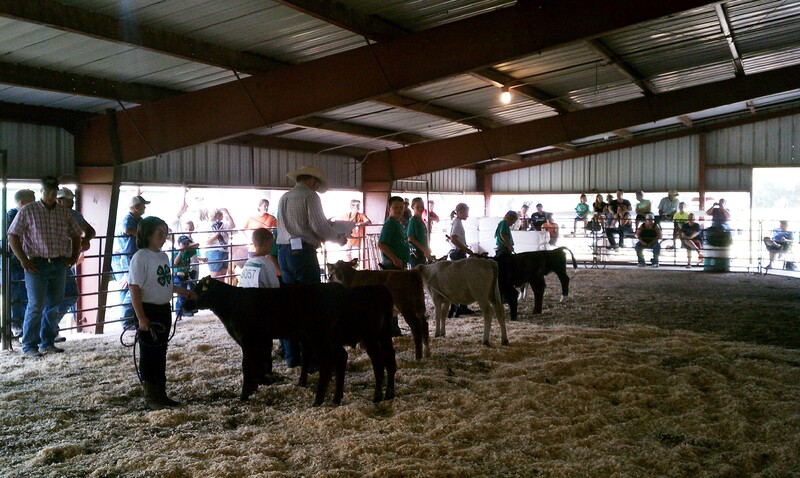 Thursday is a busy day with exhibits being judged, livestock being weighed in and the beginning of livestock shows. Something I always enjoy is family fun night on Thursday night. 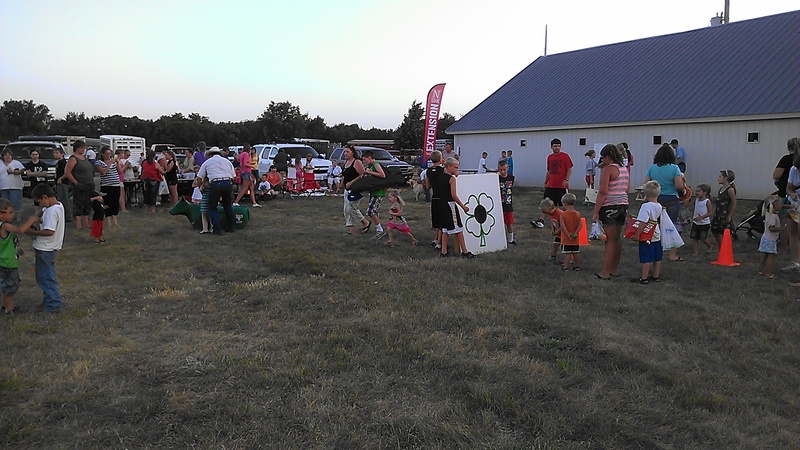 Clouds appeared and families enjoyed kiddie games, shelling popcorn, an obstacle course, and roasting hot dogs and marshmallows. 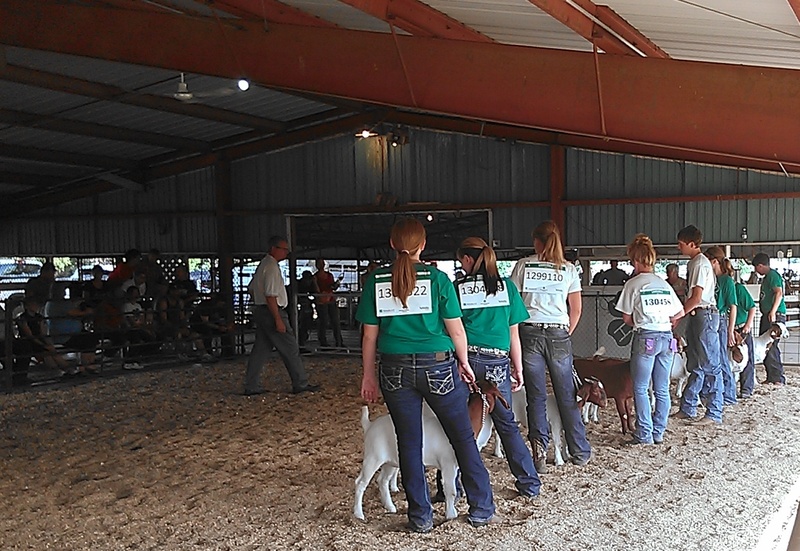 Friday and Saturday continued with the remaining livestock shows and plenty of heat. Sunday brought a fun beef-fitting contest where youth of various ages and clubs worked together. It also brought smiles watching the young children tell their stories and show animals in the Rainbow Classic, watching all our top showmen compete in the Round Robin Showmanship Contest, and wonderful support from all our buyers at the Livestock Auction; we’re thankful for your support. While probably most people are hot and tired by fair’s conclusion Sunday evening, it’s always a little saddening to me to watch the fairgrounds become empty so quickly again. Deanna and Holli in our office spend a great deal of time preparing for it as do all the youth, parents, grandparents, and 4-H leaders; thank you for all you do and the time you all invest in our youth! Thank you to the Fairboard members who spend countless hours preparing the Fairgrounds and always take care of things during fair with a smile-no matter how often they have to plunge the toilets! 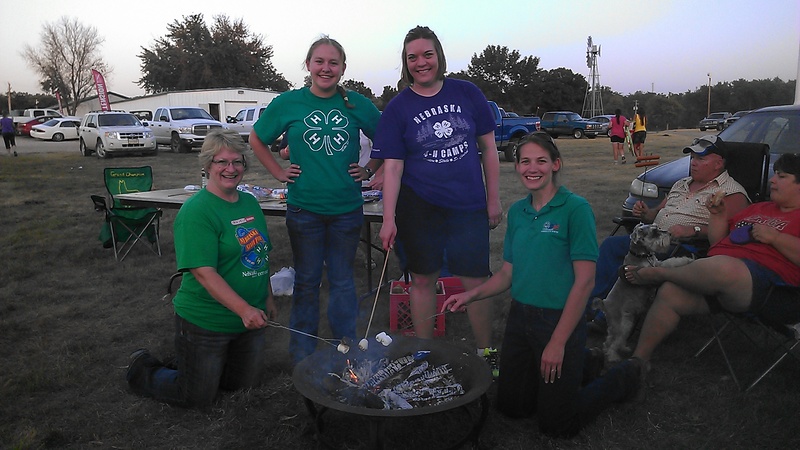 Thank you to 4-H Council for your help on various committees, your work with the food stand and BBQ, and for all you do. 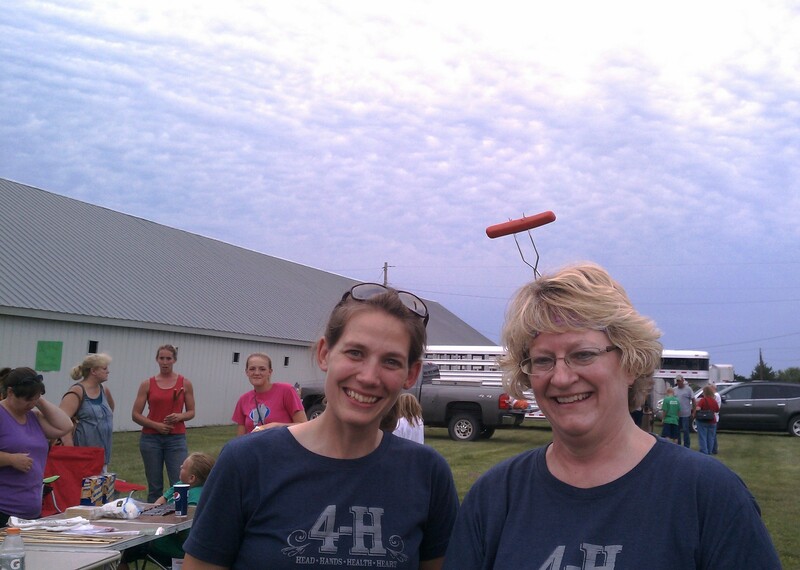 Thank you to all our superintendents and to all our volunteers; without you our 4-H program and fair wouldn’t be possible. Thank you to Tory and the Clay Co. News for all your support and coverage of our fair. We have something so special in our county and I truly feel blessed to work in Clay County! We may not have big-time entertainment at the fair, but I love our fair. I love how the focus is on our 4-H and FFA youth and families; many other counties would love to have that. Our numbers and entries are similar to counties much larger than us and I appreciate the quality brought to the fair each year from our youth. 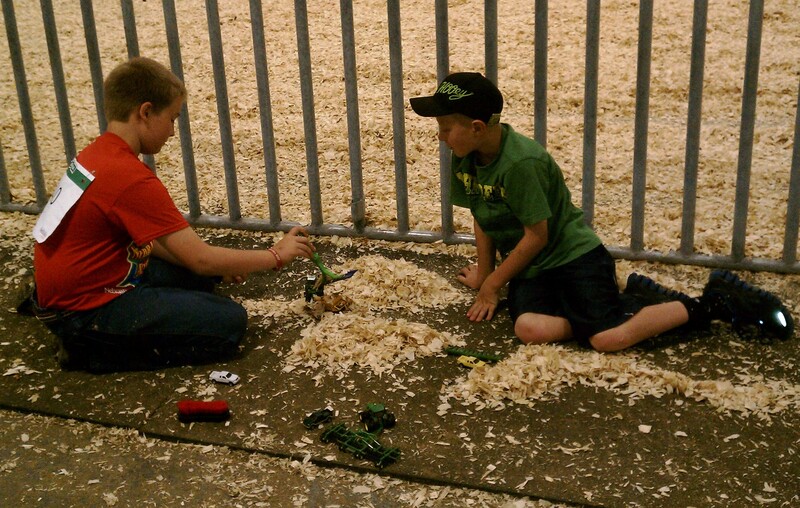 Thank you to everyone for making the 2012 Clay County Fair a success!